It’s not a very good scene seeing glass object breaking into pieces, as all the glass objects we keep at home are our favorites. But it breaks out accidentally. Now what to do with the broken pieces? Do you really want to throw them in your dustbin? No, a creative person can never do that. So we don’t think you can. You will keep the memory and make out something out of it. 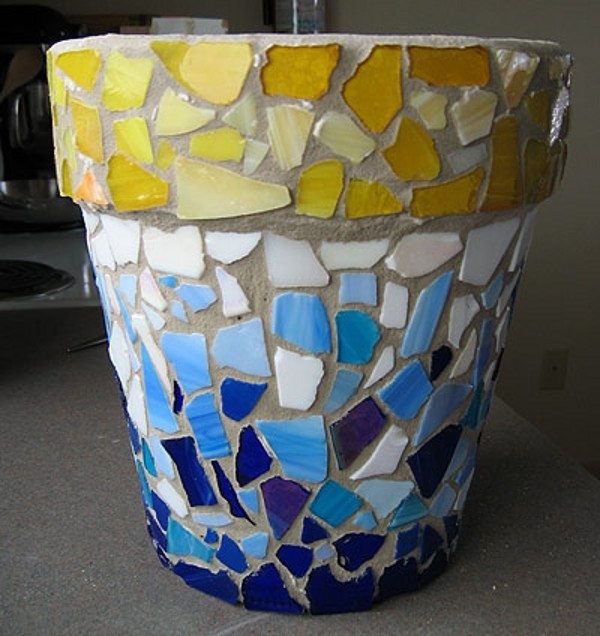 Here are some outstanding broken glass reusing ideas that will increase your creativity factor as soon as you see it. Have a look. If you really like to spend your leisure time in gardening, this one will be your best choice. Plant pot is a very important equipment for your garden and so this will matter to you. Plant pot increases the beauty of your garden so if you can add your creativity it’s going to be something special. Look how to use your customized planters using the broken glasses. 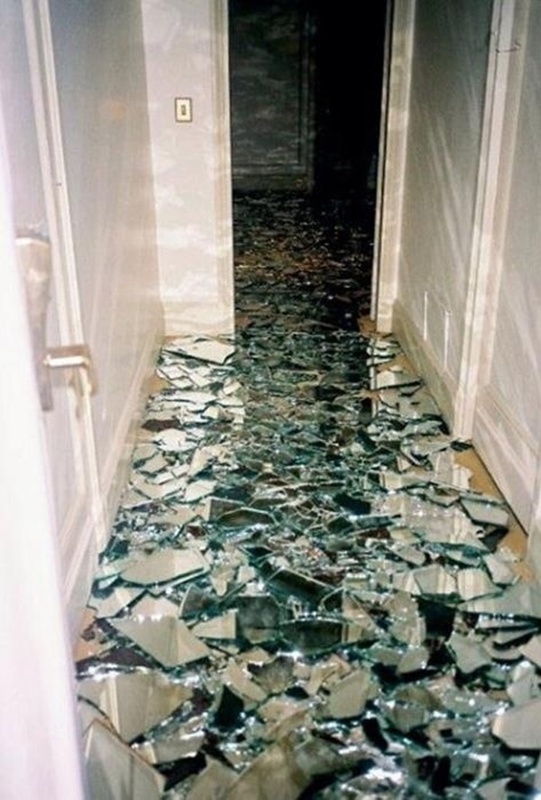 This idea is something really outstanding and you can never think of such reuse of breaking glass. 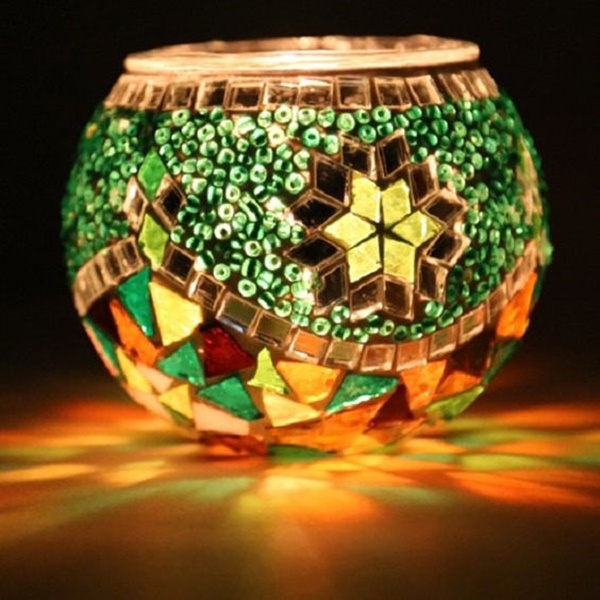 Turkish mosaic candle holder is a very beautiful project which you can use as a dining table centerpiece or an interior candle decoration. 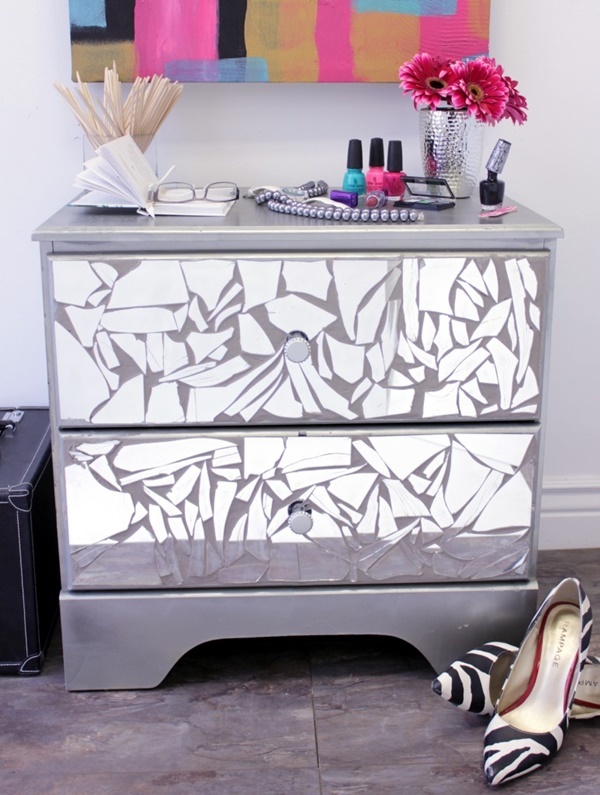 Looking for an idea to give your old bedroom dresser a completely new look to get rid of the same boring look? Have a glimpse of this idea and we are sure it will help you out to reuse your glass. Want to try out something unique? Then try out a mirror floor in your house. No, don’t be afraid to getting your legs cut. It will do nothing harm to you. Instead, you can make your floor look shiny. This one is very trendy and a great idea for a man cave or a studio. 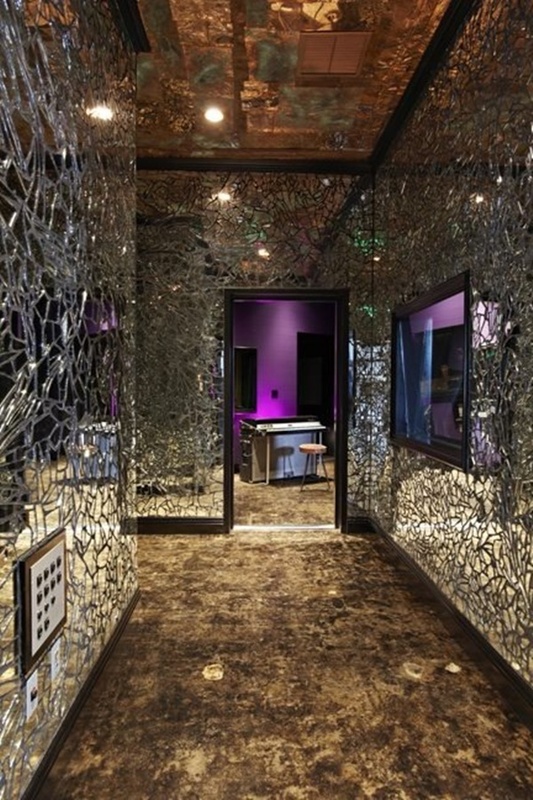 The walls fully covered with glass pieces and a which make the overall room very shiny and bold. Just have a look at the picture below and try out that for your own room. You can also try this out with colorful glasses. 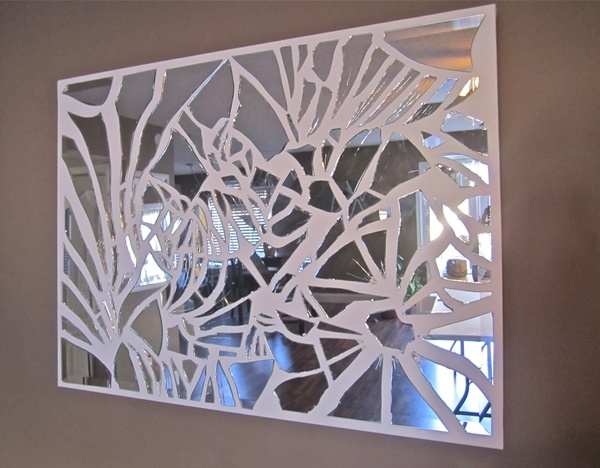 Now you don’t need to keep a broken mirror, but instead, you can use those old broken glasses to decorate the mirror in a unique style. It will make your interior decoration very attractive and you can place it anywhere ranging from your bathroom to bedroom. 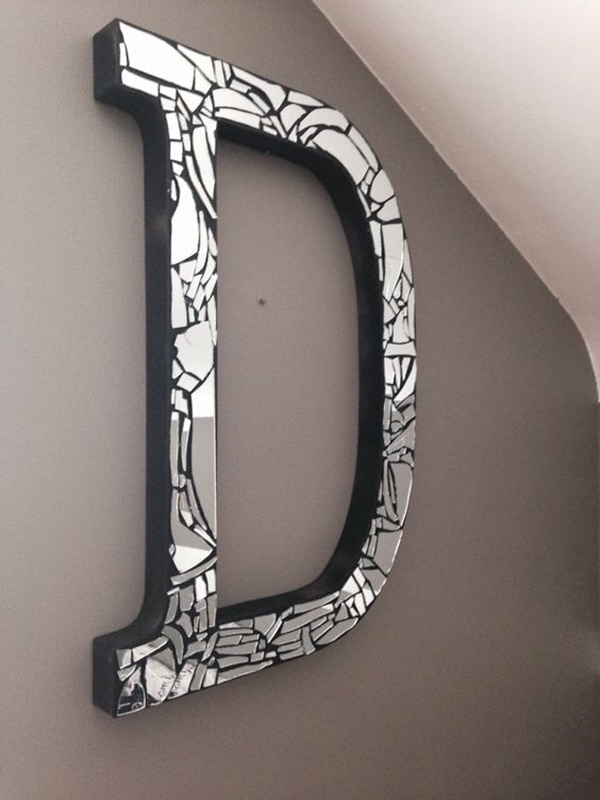 You have better ways to use broken mirror pieces. 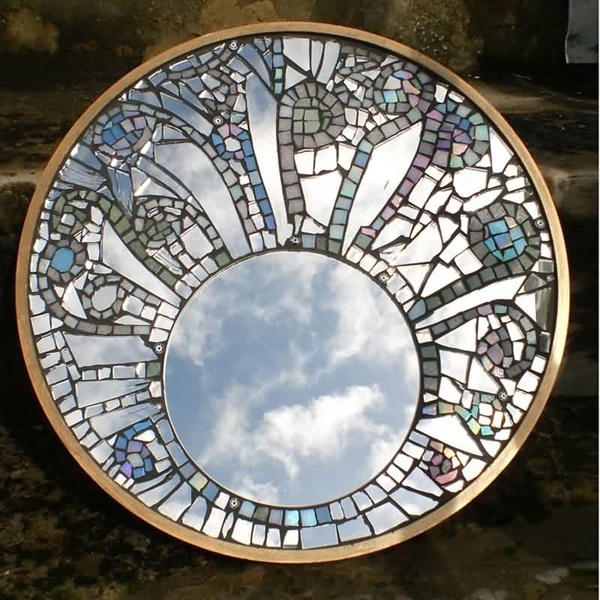 There is nothing to repent about your old mirror, instead gear yourself up with various new ideas from here. 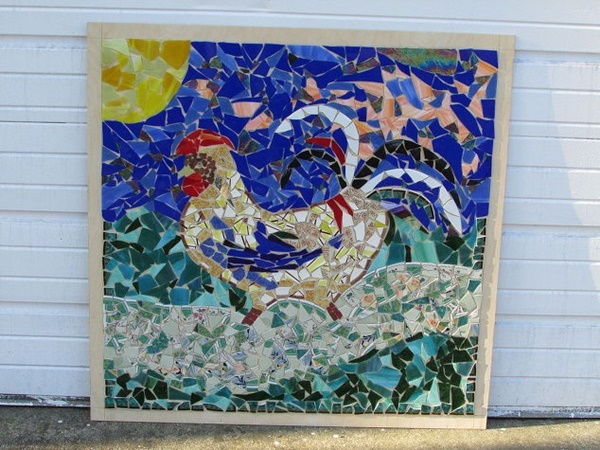 If you have some basic crafting skills, you can try out this mosaic art to create a lovely artwork for your drawing room. If you are still thinking what to do with your left out colorful pieces of broken glasses, here’s an idea for you all. Make out a beautiful art piece like this one. You can keep it inside your home and it will look alluring. 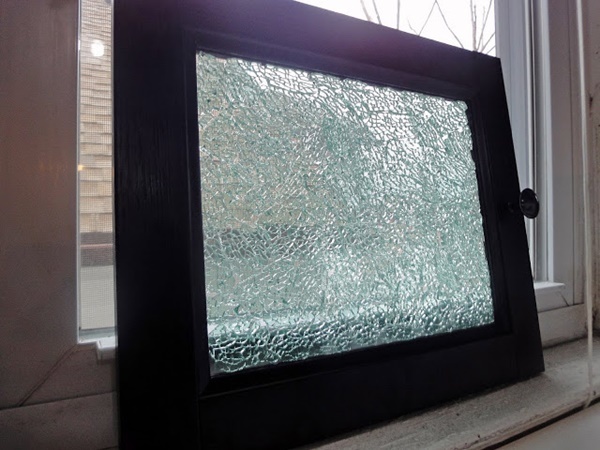 No, we will not allow you to leave a single broken glass in your home. 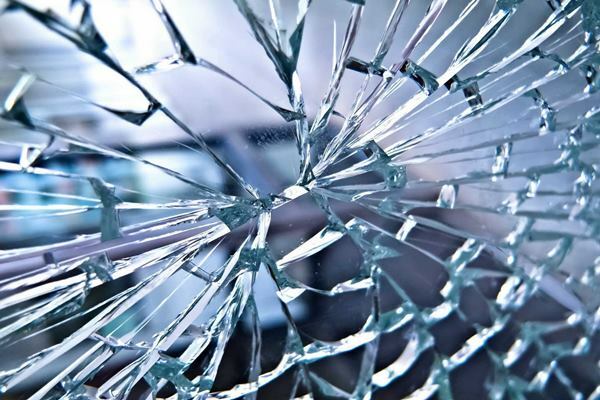 Now if you can collect some broken car glass window, you can make out this crafty window in your home. Isn’t it really amazing? Have you ever thought of something like this? You can glass for almost anything. But you will have to create an idea for that. Here you can see, how a glass mosaic alphabet is made out of some pieces of glass. You can also make the same for you. Even you can make it and gift someone. Now it’s really amazing that you have a bunch of ideas on your mind for reusing glasses. So no more question about throwing the glasses away in your dustbin. Everything comes into use, maybe it old or maybe it is broken, the only thing you have to do is give it a new look with some creative ideas. Just let us know if you really tried out to make something on your own getting inspired from any of these broken glass reusing ideas.